Things are about to get massively interesting for Hillary Clinton. I guess Jeff Sessions did not want his legacy to look like he was bullied or bought off by Clinton after all. Sessions has ordered the Justice Department prosecutors to begin questioning FBI agents to explain the evidence they found in a now dormant criminal investigation into a controversial uranium deal that critics have linked to Bill and Hillary Clinton. It’s about freaking time. Man, this week just keeps getting better and better. This fulfills a promise by Attorney General Jeff Sessions to Congress to interview these FBI agents in order to examine whether a special counsel was warranted to look into what has become known as the Uranium One deal, a senior Justice Department official said. This has to do with the 2010 deal the Obama administration made that allowed the sale of US uranium to Russia’s state atomic energy company. Clinton was the Secretary of State at the time and the State Department, along with nine other agencies, approved the deal. It was a corrupt deal from the get-go. Some of the people connected to this deal, donated millions of dollars to the Clinton Foundation. Bill Clinton was also paid $500,000 for a Moscow speech by a Russian investment bank with links to the transaction. You want Russian collusion… this is it. Then you should look into Skolkovo – the Russian version of our Silicon Valley that Clinton helped build and was richly rewarded for. Small wonder, it was treasonous. She helped the Russians set up the hub of their cyberwarfare capabilities against the US. 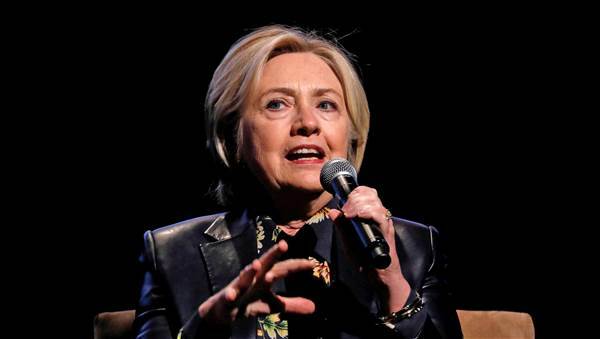 Of course, the Hildabeast has denied any role in the decision by the State Department to approve the sale and the State Department official who approved it has said Clinton did not intervene in the matter. Yeah, not buying it. Never have. In a letter to Rep. Bob Goodlatte, R-VA, chairman of the House Judiciary Committee, Assistant Attorney General for Legislative Affairs Stephen Boyd said Justice Department lawyers would make recommendations to Sessions about whether an investigation should be opened or expanded, or whether a special counsel should be appointed to probe a number of issues of concern to Republicans. Over the last few weeks, FBI agents who claim to have investigated the case have been asked a number of questions by Justice Department prosecutors to describe the results of their probe. The agents also have been asked if there was any improper effort to squash a prosecution. This whole thing has been mishandled, I hope they get it right this time. On June 8, 2010, Uranium One announced it had signed an agreement to sell a majority stake to the mining arm of Rosatom, the Russian nuclear energy agency. At the time, Uranium One’s two licensed mining operations in Wyoming amounted to about 20 percent of all uranium mining production capacity in the US, according to the Nuclear Regulatory Commission. That amount has since been decreased, but I’m not sure that’s the truth either. Because enriched uranium is a component of nuclear weapons, the deal required a national security review by the Committee on Foreign Investments in the United States. 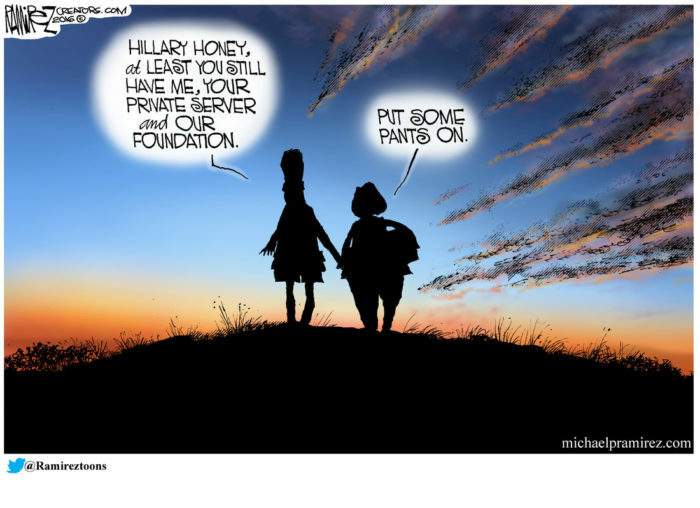 As the Russians gradually assumed control of Uranium One in three separate transactions from 2009 to 2013, Uranium One’s Canadian chairman, Ian Telfer, used his family foundation to make four donations totaling $2.35 million to the Clinton Foundation. Those contributions were not publicly disclosed by the foundation as required by law, despite a promise to publicly identify all donors. The foundation later said it made a mistake. Sure they did. Sen. John Barrasso (R-WY) raised objections to the sale, saying it would “give the Russian government control over a sizable portion of America’s uranium production capacity.” And it did. The US ambassador to Kazakhstan also raised concerns in communications to Clinton’s State Department that Rosatom was acting on behalf of Russia’s military intelligence agency, the GRU, to appropriate uranium mines after Russia felt “squeezed” by having their uranium imports limited by other countries. Nonetheless, the Committee on Foreign Investment, known as CFIUS, approved the deal by a unanimous vote. Clinton was just one member of the nine member CFIUS by virtue of her role as Secretary of State. The other eight members of CFIUS came from Treasury, Homeland Security, Commerce, Defense, Energy, the Office of the US Trade Representative, the Office of Science & Technology and the Justice Department. As far as I’m concerned, they should all be investigated and prosecuted over this.